This stop was all about seeing two active and dramatic volcanic mountains in southern Washington. 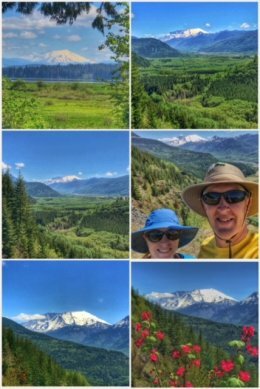 We traveled from Ellensburg (and the not so pleasant Yakima River RV Park) to Randle (sadly misspelled), traveling over the quite beautiful White Pass Scenic Byway (Highway 12), which offered us an early peak at Mt. Rainier. 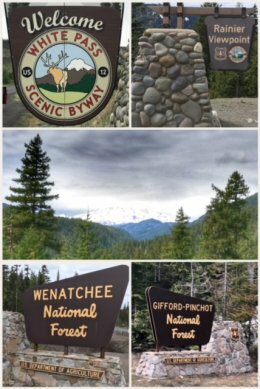 We were happily again traveling through the Cascade Mountain Range, stopping at White Pass (elevation 4,501 feet) to enjoy the views. 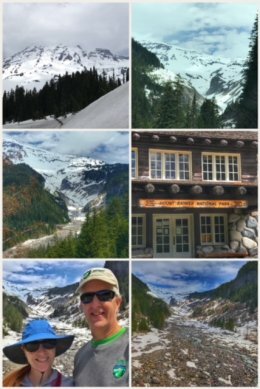 Mt Rainier also has the largest alpine glacial system outside of Alaska and the world’s largest volcanic glacier cave system (in the summit crater). It creates its own weather system and spawns six major rivers (which are important sources of water for the Puget Sound region). About 97 percent of the park wilderness, protecting the area’s wild places and wildlife. 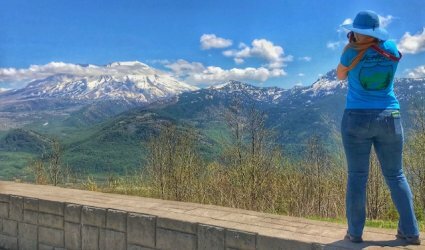 In winter (and spring), the only entrance to the park is through the Nisqually entrance, and the only visitor center open is the Henry M. Jackson Memorial Visitor Center — both in the south end of the park. We, of course, stopped at the visitor center, as well as the Longmire Museum. 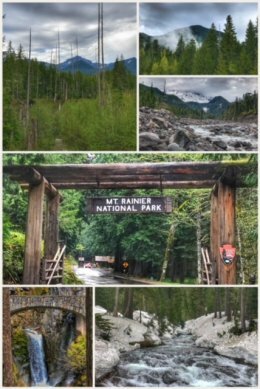 Along the way, we stopped Kautz Creek, Christine Falls (which falls 69 feet, and is best known for the picturesque bridge over Van Trump Creek), and Narada Falls (which drops 188 feet in two tiers on the Paradise River). We concluded out visit to Mt. Rainier National Park with a hike along the Trail of Shadows (accessible from the Longmire Museum area), a .7-mile loop trail (around a beautiful meadow) that explores the early history of the Longmire Springs Resort, and includes walking through forest and wetlands. The wetlands were awesome because we sort of fell in love with the crazy skunk cabbage (Lysichiton americanus) that were happily in bloom. 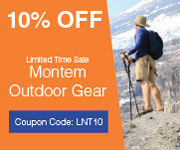 Of course, many other trails abound, including the Wonderland Trail, Rampart Ridge Trail, Comet Falls Trail, Sunrise Rim Trail, Skyline Trail, and Summerland Trail. 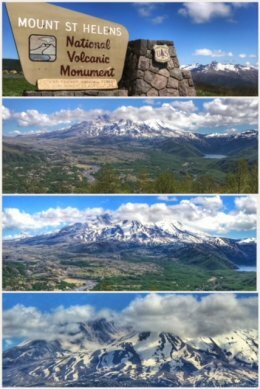 Continuing our tour of active volcanoes of the Cascade Range, we drove over to Mount St. Helens National Volcanic Monument, seen in the featured photo at the top of this blog … and fell in love. It is one of the most beautiful places we have visited thus far, and perhaps our favorite national monument. Everything about this place seemed magical. Established in 1982, just two years after its most famous eruption (which was the most destructive volcanic eruption in U.S. history — destroying homes, bridges, roads, and trees in a wide blast zone that buried parts of the valley up to 600 feet deep), and protecting 110,000 acres in the Gifford Pinchot National Forest, this national monument was established to protect the significant features and unique geological, ecological, and cultural resources surrounding the still-active stratovolcano. The 1980 eruption reduced the mountain’s summit from 9,677 feet to 8,363 feet — and leaving a 1-mile wide horseshoe-shaper crater. We drove in along Highway 504, first stopping at the Silver Lake Visitor Center (run by Washington State Parks), just east of Castle Rock. Once on the highway, you can take it east into the monument… all the way to the Johnston Ridge Observatory during summer and fall. We were able to get as far the Coldwater Recreation Area. 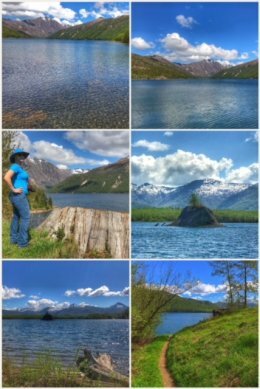 As you are driving Spirit Lake Memorial Highway, definitely stop at the Elk Creek and Castle Lake viewpoints; the vistas are amazing and you will not be disappointed. The beauty of this area is simply uplifting and breathtaking. 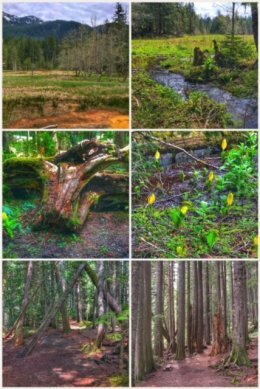 Along the way, you’ll learn that scientists have been stunned by the amount of regrowth since the massive 1980 eruption; you’ll also read and see the amazing amount of replanting Weyerhaeuser Company — more than 18 million trees in the 7 years following the blast. Finally, the road and bridges themselves are works of art — and all had to be rebuilt after the blast. 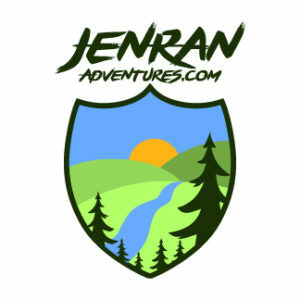 Plenty of other hikes and adventure (including boating on the lakes) can be found near Mount St. Helens, making this a perfect stop during your future travels. Next up for us? We head further west to Sequim and a visit to Olympic National Park! Previous Post:Stop 26: Columbia Gorge-ous!